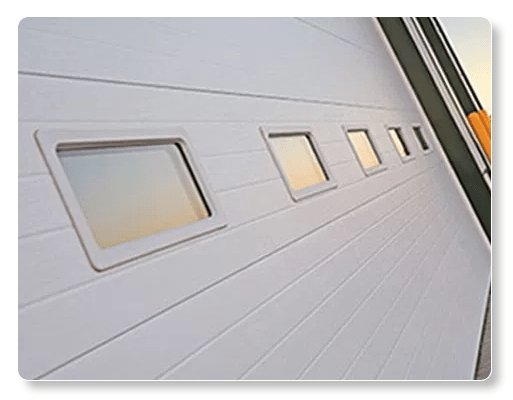 Sectional Doors Micro Grove 3216 are insulated sandwich doors that are feature-rich to meet your design and performance requirements. This high R-value steel commercial door is available in four colours and a wide variety of window options. This steel commercial door model offers added rigidity and durability when applications require unrivalled protection and are environmentally friendly. Complete the look of your door with the color and style of Accents.